Everything Everything will provide the keynote session at the first Off The Record conference for emerging artists in Manchester in November. The band’s Jonathan Higgs and Jeremy Pritchard will be in conversation with DJ and writer Dave Haslam. Of course, the really big draw at the event will be the session put on by CMU:DIY, offering a beginner’s guide to the music industry for DIY artists, right? Well, it will definitely be one of the draws. 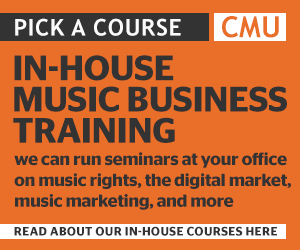 CMU Business Editor Chris Cooke will outline the different ways musicians can make money from recordings, merchandise, gigs and brand partnerships. Other sessions include: photographers Brian Cannon (Oasis’ ‘Definitely Maybe’) and David Drake (The 1975’s ‘I Like It When You Sleep’) in conversation with John Robb and a panel on getting your foot in the door, led by former Happy Mondays manager Phil Saxe. 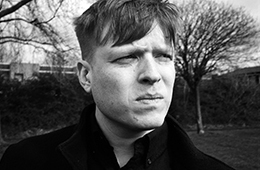 And, of course, the conference accompanies the OTR festival, with performances by 30 emerging artists nominated by industry names such as Guy Garvey, Huw Stephens, John Kennedy, Tim Burgess, Lara Baker and Elizabeth Alker.